Instead of using Rote memorization methods to pound medical terms such as macrolides and bacteriostatic into ones’ head for finals, students are turning to Picmonic, a visual learning platform, where definitions, diseases and diagnoses are transformed into colorful, goofy and unforgettable pictures to create a personalized learning experience. Since they launched in 2011, the company has signed up 100,000 students and 1,000 medical colleges. Today, the company announced it closed a $2.3 million round led by 2M Companies of Texas with participation from Tallwave Capital, Arizona Tech Investors, Desert Angels, and CEO of Parchment and co-founder of Blackboard, Matt Pittinsky. 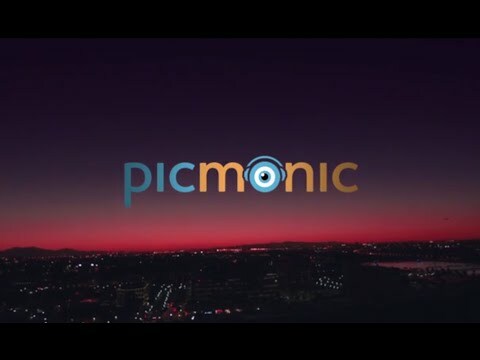 In an interview with co-founders Adeel Yang and Ron Robertson, the magic behind the company comes from within the walls of Picmonic. With this next round of funding the co-founders will expand their employee base as well as their reach in different areas of the medical industry and nurture a sharing community. “The big frontier will be in higher education, STEM education and other healthcare professionals,” Yang said. The company is developing a creative tool where educators and students can create their own images and share it with the community. Initially, this tool will be free, Yang said. “We want to empower anyone, any learner, to learn more creatively and visually and use Picmonic to learn differently and collaborate in a community,” Yang said. Yang credits much of the company’s success to the immense support of the Arizona edu tech community and angel groups. “We love the local angel community, they’ve been tremendous,” Yang said. “I’m so grateful to receive the level of support we have and get to the level we are today. If it wasn’t for [angel groups] we wouldn’t be here, and we hope to give back. The company previously raised $1.25 million, won the ACA Innovation Challenge with $250,000 and won the People’s Choice Award at Venture Madness 2014; this additional funding brings their total money raised to $5M. Growing a company and raising capital comes with its challenges. However, Yang and Robertson agreed their biggest challenge as co-founders has been hiring the right people “who have the right skill sets and attitude to move the company forward and build a team,” Yang said. “We wouldn’t have the magic if we didn’t overcome that challenge of bringing on the right people,” Robertson said. Read our extended coverage on Picmonic at AZ Tech Beat. Read about more AZ startups raising cash here. Awesome news, congrats on all the hard work so far!